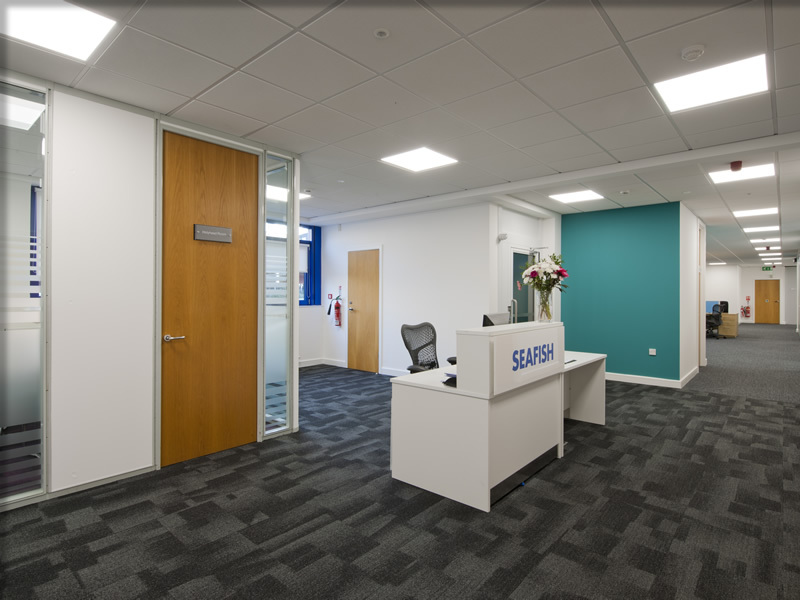 Scotwood were appointed by Seafish to carry out the refurbishment of a 2 storey office building in Beaverbank Industrial Estate in Edinburgh. 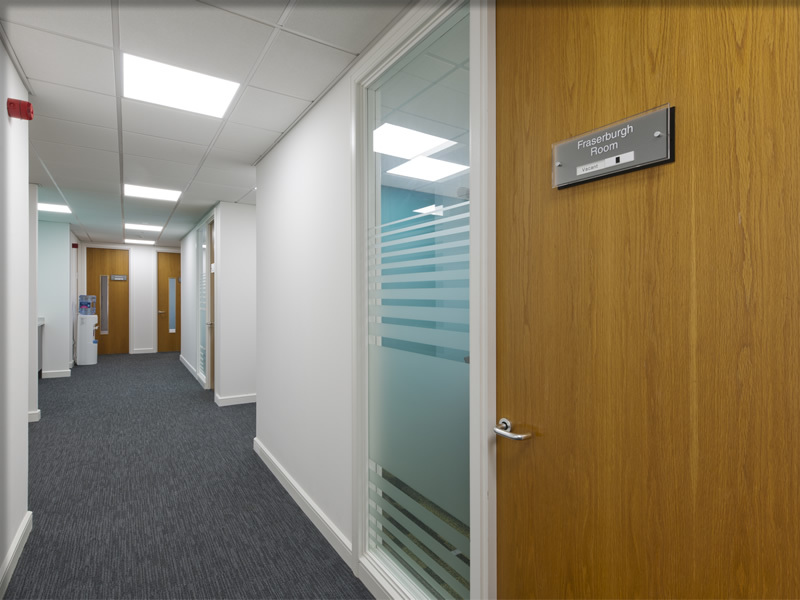 The current offices were tired and needed refurbishment. 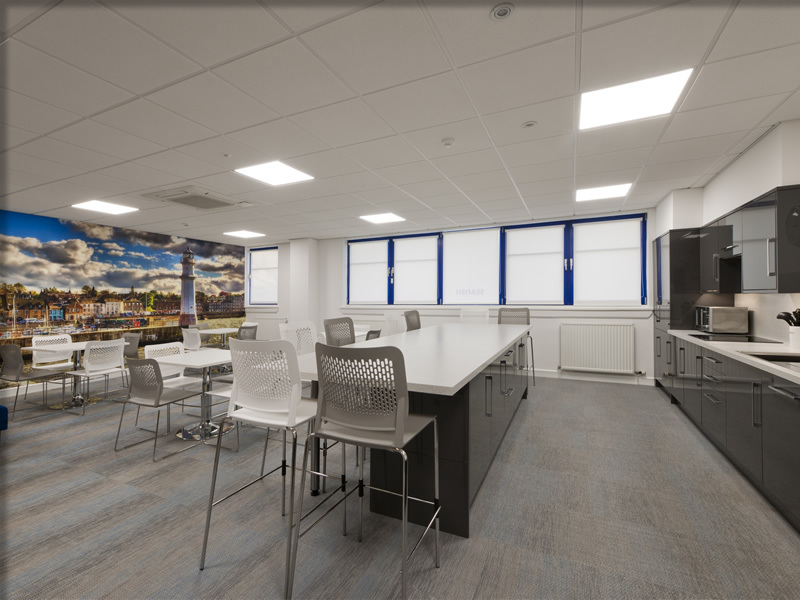 The project commenced in April 2016 and working closely with Space Solutions, the architects and project managers, Scotwood created new contemporary staff kitchen / lounge facilities, new break- out / meeting areas, print/copy areas and tea-points on each floor. 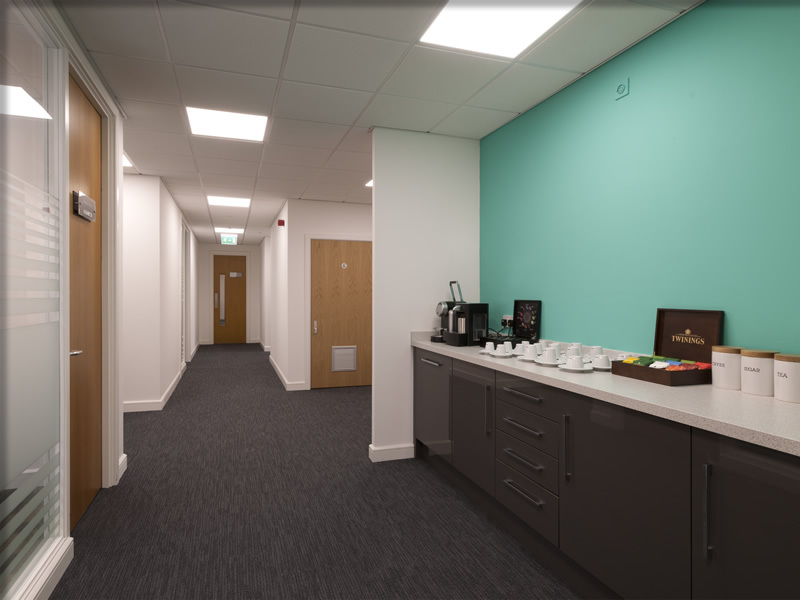 As new Armstrong suspended ceilings were installed, energy efficient lighting was fitted to meet current standards, greatly improving the working environment as well as reducing running costs. 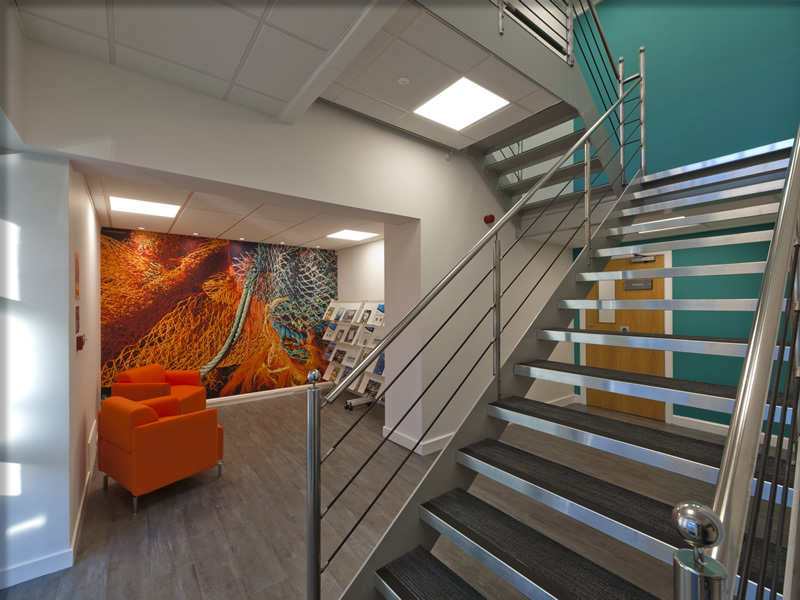 A new passenger lift was installed to improve access throughout the building including alterations to the structure to facilitate the works. 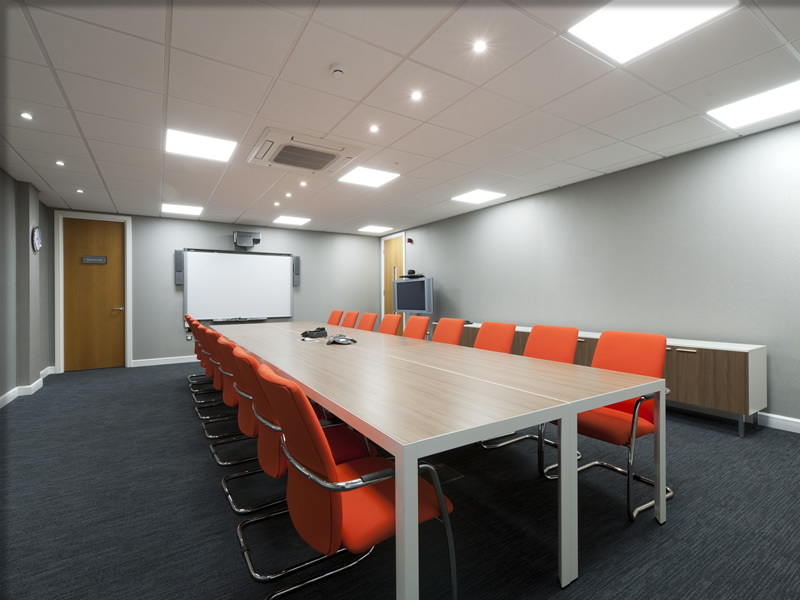 The key to this successful project was managing the work in an occupied office and working closely with the client’s team and Space Solutions to ensure minimum disruption to staff. 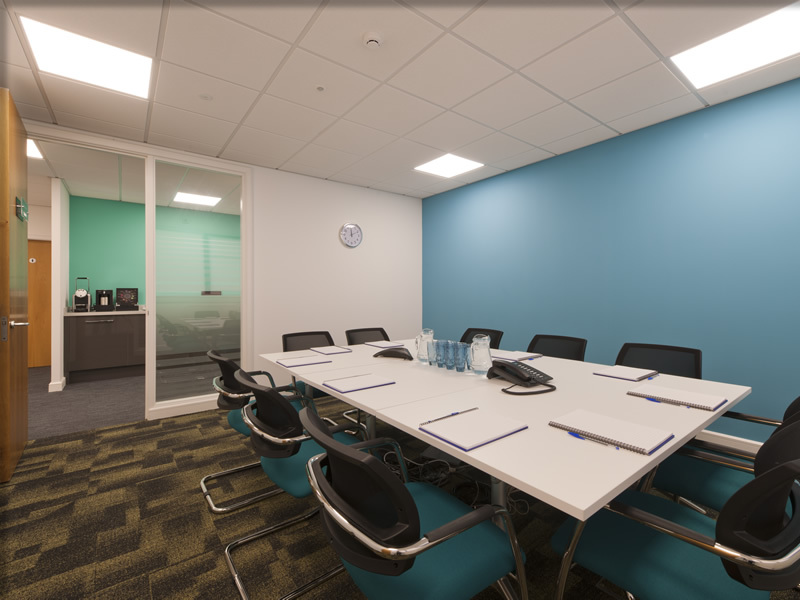 This allowed the construction works to be sensibly and safely completed on programme and to budget. 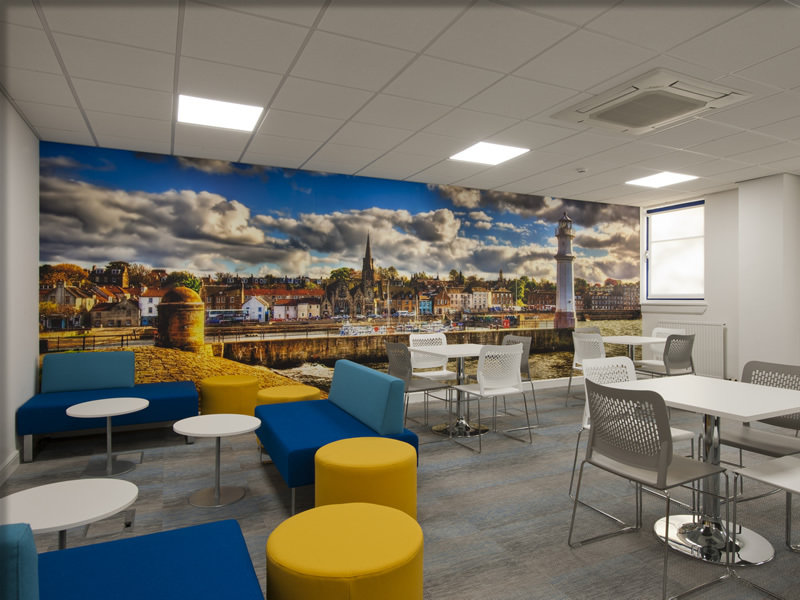 The end result is a much improved and modernised environment for visitors and staff whilst better reflecting the business vision and brand through clever and thoughtful design. 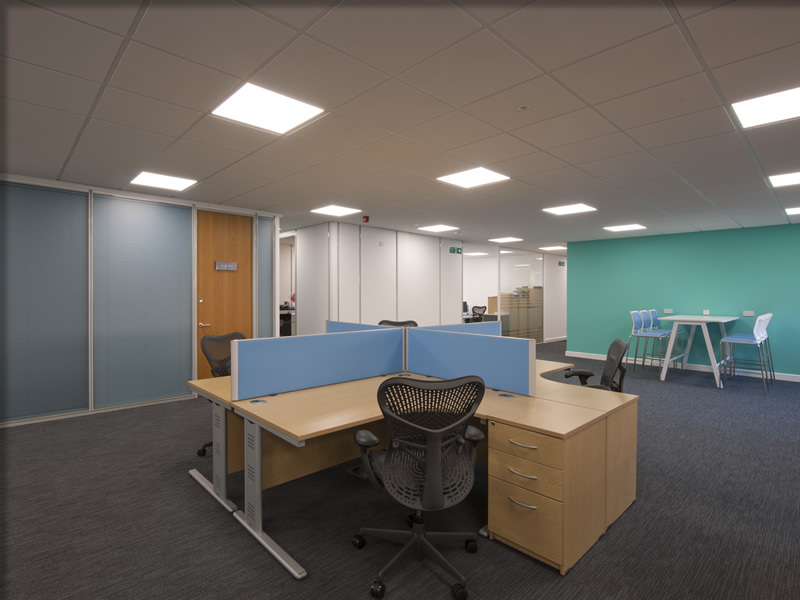 Refurbishment of a 2 Storey Office Building in Beaverbank Industrial Estate, Edinburgh.